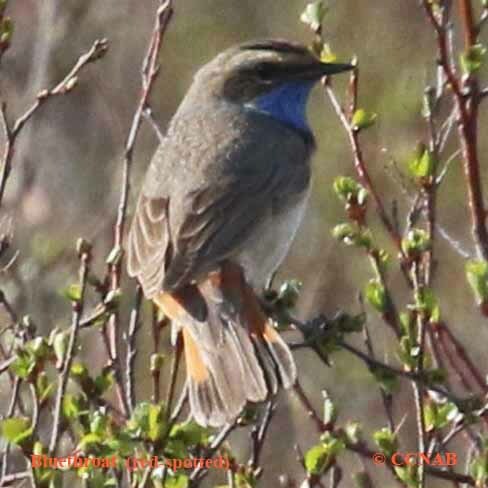 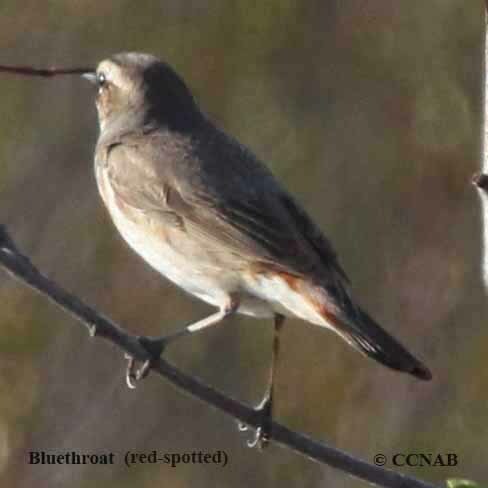 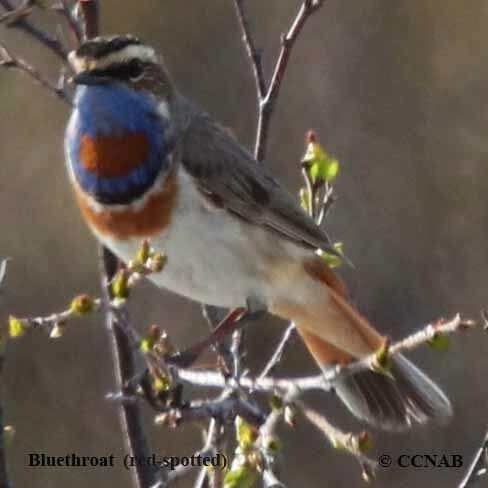 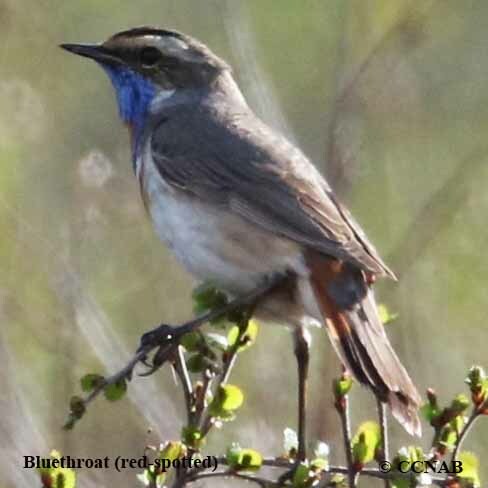 The Bluethroat (red-spotted) nest in northern Europe and Asia, migrating into the southern regions during the winter months. 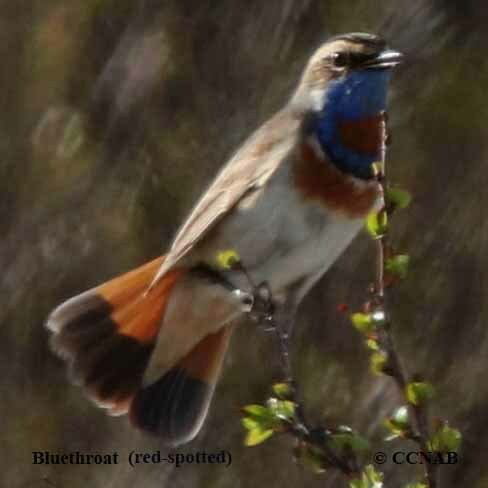 Small numbers of these colourful flycatchers can be seen in the northern half of Alaska tundras. 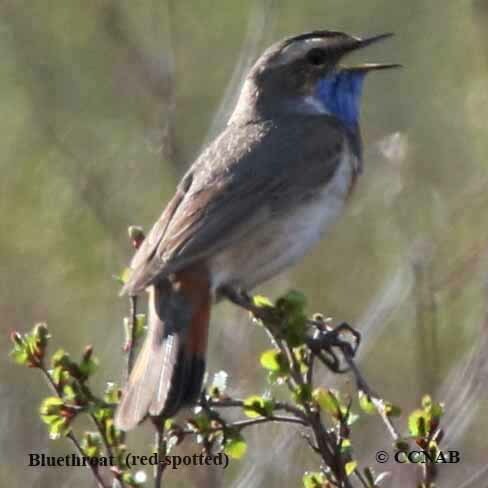 They prefers a mix of scrubs, small bushes, usually near a source of water or wetlands, which is ideal habitat for insects.